You may have heard that true, authentic extra-virgin olive oil must be very peppery, bitter or will have a slight burn when you swallow it. Is this true? Not always. 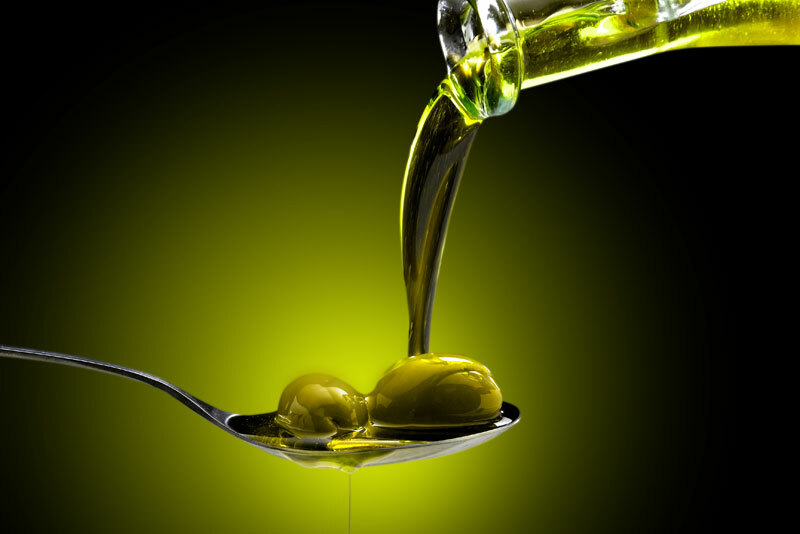 All extra virgin olive oil contains oleocanthal which is a phenolic that could cause you to cough. This quality is called "pungency" or "astringency" in the olive oil trade. Oleocanthal may cause a bitter or peppery taste, tingling or burning sensation or may cause slight numbness. Some people promote the idea that more pungency is better and consumers have been told that they should ONLY seek out very bitter, peppery oils or else they are being "duped." This is completely untrue. Like wine, extra virgin olive oil will vary in flavor depending on the variety, the amount of sun or rain, the soil and the time of harvest. Olive oil companies will often mix different olive oils, just like winemakers do, to create a desired flavor profile. Some olive oils are more pungent than others giving consumers a range of choices to complement different foods. Age - peppery or bitter flavors are more common in olive oils that are recently pressed. As time passes, the pungency dissipates. Olive variety - the olive variety plays a key factor in the pungency of an oil. For example, oil from Hojiblanca olives are often more bitter while oil from Arbequina olives is often milder. Keep in mind however, that many extra virgin olive oils are a blend of more than one olive variety. Time of picking - Olive oil made from unripe olives will usually be more pungent than oil made with more mature olives. Heat - bitterness will mellow when heated and the cooking style used will affect the final flavors of the dish. Grade - generally only extra virgin olive oil will have a bitter flavor. Classic, pure, or light-tasting olive oil have more mild flavors, which is useful when you don't want a strong olive oil flavor in the final dish. A note on color. Color is not related to the flavor or authenticy/purity of olive oil. An oil that is described as having a green flavor might not be green in color and a golden oil can have very strong flavors. In conclusion, the pungency of an olive oil is not related to the authenticity or purity of the olive oil. All olive oils offer a number of health benefits related to cardiovascular health, anti-inflammatory properties and increased absorption of nutrients from your food. All extra virgin olive oils have added benefits from a range of different phenols that provide stability and have antioxidant and anti-inflammatory effects. Consumers can confidently enjoy a number of health and culinary benefits from a range of olive oils with many different flavor profiles.